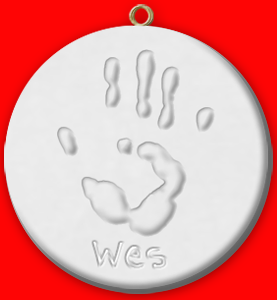 Plaster of Paris crafts are affordable and fun for the entire family. You can even use your projects to make gifts that will be treasured as keepsakes for many years to come. Plaster of Paris is a powder that is made from powdered gypsum rock. You mix the powder with water to form a liquid clay. The resulting compound air dries to form a gray cement or clay-like substance that you can paint or leave unpainted. You can make wall hangings or decorative garden pavers from plaster of Paris, though the finished product may crack and break if dropped onto a hard surface. All craft supply stores carry plaster of Paris and molds, as do many discount and garden stores. You can also buy it online at craft stores or general vendors, such as Amazon. A 25-pound bag of plaster of Paris powder should cost between $10 and $15. Mix two cups of plaster of Paris powder for every one cup of water. A small paving stone or medium size wall plaque would require about four cups of plaster of Paris mixed with two cups of water, but you will be able to gauge your mixture by sight. It is better to mix too much than too little, since the product is inexpensive. Additionally, the item may not form well if separate batches of the mixture are combined. Sprinkle or sift the powder slowly and evenly over the bowl of water. Tap the side of the mixing bowl as you sprinkle to disperse the powder. Stir gently to prevent formation of air bubbles. The goal is to create an even, lump- and air-free clay. Allow the mixture to sit for two or three minutes before pouring into molds. Gently pour your mix of plaster of Paris and water into molds, then allow the molds to sit for at least 20 minutes before moving to a dry area out of the reach of small children. After 24 hours, your items should be dry enough to remove from their molds and paint, if desired. If the weather is rainy, you may want to wait a few extra hours, just to be sure. These ideas all make wonderful gifts for friends and loved ones, or you can use them to decorate your home. For toddlers, pour mixed plaster into a bowl, and while the mixture is still wet, press a few small items into the clay to create deep impressions. After the plaster dries, challenge your baby to match the items with the indentations in the clay. For older kids, ask your children to find interesting items in your yard or at the beach. Give them a scavenger hunt list of items, then embed the found objects into wet plaster and save the dried plaster to use as wall plaques or garden pavers. Plaster of Paris is generally non-toxic, but it can cause a serious intestinal blockage if too much is swallowed. It is not safe to breathe the powder, so an adult should mix the powder outdoors while wearing a tightly fitting dust mask. Store the powder well away from the reach of small children, and supervise their use of the mixture closely. Your bag of plaster of Paris will have instructions for mixing, so check these to be sure there are no additional steps or warnings before following the directions here. Keep your craft and food storage or preparation containers and other items separate at all times to avoid contaminating food with chemicals. These plaster of Paris crafts will entertain your children for many hours, and will provide them with a creative outlet and a way to make gifts for others. You will gain cherished keepsakes if you make hand, foot, and pregnant belly molds. Enjoy your new craft, and remember to follow all safety instructions carefully.